What are the current key activities of the Federal ITS Program? How is the Federal ITS Program organized? How did the Federal ITS Program become established? What is the current level of ITS deployment in the United States? A: ITS improves transportation safety and mobility and enhances American productivity through the integration of advanced communications technologies into the transportation infrastructure and in vehicles. Intelligent transportation systems (ITS) encompass a broad range of wireless and wire line communications-based information and electronics technologies. Q: What is the Federal role in ITS? A: Located in the U.S. Department of Transportation’s Office of the Assistance Secretary for Research and Technology (OST-R), the Intelligent Transportation Systems (ITS) program researches ways that information and communications technologies can improve surface transportation safety and mobility and contribute to America’s economic growth. ITS applications focus on both the infrastructure and vehicle as well as integrated applications between the two. Familiar ITS technologies include electronic toll collection, in-vehicle navigation systems, rear-end collision avoidance systems and dynamic message signs. Technology transfer is also a key element of the ITS program. Research findings and evaluations are published online; a National ITS Architecture and Standards program ensures that States and jurisdictions have the framework they need to deploy interoperable ITS systems; and training on the latest ITS applications is developed and delivered by the program. Q: What are the current key activities of the Federal ITS Program? A: The ITS Strategic Plan 2015-2019 outlines the direction and goals of the USDOT’s ITS Program and provides a framework around which the ITS JPO and other Department agencies will conduct research, development, and adoption activities to achieve the program’s outcomes and goals. For an overview of JPO research, read the ITS Strategic Plan 2015-2019 Fact Sheet. 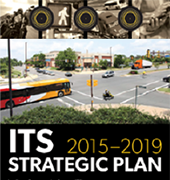 For an in-depth description, view the full ITS Strategic Plan 2015-2019. Q: What benefits are expected from the current research activities? The benefits of a transformed transportation system — one that is fully connected, information-rich, and able to address safety, mobility, and environmental impacts — are wide-ranging and powerful. They will be felt by every one of us, delivering greater livability to our communities and to our daily lives. Travelers are the primary beneficiaries. They will experience improved safety of travel, including reduction in fatalities, injuries, and the costs associated with crashes. Travelers will also benefit from real-time, multimodal information that will lead to more efficient and eco-friendly choices regarding travel routes and modal choices. For instance, informed travelers may decide to avoid congestion by taking alternate modes such as walking, biking, or public transit; by rescheduling their trip; or by taking alternate routes. Transportation agencies benefit by being able to see and respond dynamically to conditions on the transportation network as they evolve and expand across all of the modes. Operators will have the tools to manage the multi-modal system more efficiently, saving fuel, and reducing environmental impact. For example, data generated by connected vehicles systems can provide transportation operations centers with detailed, real-time data on traffic volume, speeds, transit schedule status, parking availability, evolving weather conditions, and other roadway conditions. This information can be used to optimize the transit capacity, traffic signal timing or ramp meter operations, corridor management, incident and emergency response, variable speed limits, dynamic road pricing, road weather surface treatments, and improved real-time travel alerts and advisories, among others. Industry benefits with the introduction of a new marketplace in support of connected vehicles technologies, applications, and new, creative products and services. A key component of each of the research programs described in this ITS Strategic Research Plan is the focus on catalyzing new markets and the assurance that resulting policy will support market growth; in fact, successful connected vehicles adoption will rely upon the ability of private markets to efficiently bring products and services to consumers across the Nation. Industry will also benefit from efficiencies delivered by connected vehicles deployments. Organizations that engage in freight and passenger transportation, in particular, will find that the seamless, real-time information enabled by wireless communication between vehicles and with infrastructure translates into greater economic productivity, administrative cost savings, and profits. System and operational efficiencies will be gained through real-time information on system conditions, routing recommendations, vehicle diagnostics, and fleet and capacity usage. Connected vehicle applications will also enable interoperable operations and real-time data sharing and exchange to facilitate automated screening, inspections, credentialing, and other processes. 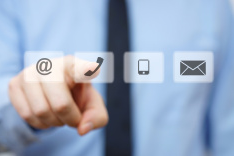 Further, for those organizations that provide information services, wireless technologies will deliver a more ubiquitous range of data sources for developing new applications and services. Q: How is the Federal ITS Program organized? A corporate-style "board of directors"– the ITS Management Council – develops and directs Federal ITS policy and ensures the effectiveness of the ITS program. The ITS Management Council is chaired by the Assistant Secretary in the Office of the Assistance Secretary for Research and Technology. Advising the ITS Management Council is the ITS Strategic Planning Group. Membership is generally at the Associate Administrator and office director level, and is chaired by the ITS program manager. The ITS program director leads the ITS Joint Program Office (JPO), which is comprised of program managers and coordinators of the USDOT's multimodal ITS initiatives. In addition, individual staff members manage technology transfer functions, such as National ITS Architecture development and maintenance, Standards development, professional capacity building and program assessment. The head of the JPO is Kenneth Leonard. The Assistant Secretary, in the Office of the Assistant Secretary for Research and Technology, oversees the ITS Program. The JPO has Department wide-authority in coordinating the ITS program and initiatives among FHWA, FMCSA, FTA, FRA, NHTSA and MARAD. Q: How did the Federal ITS Program become established? A: The Intermodal Surface Transportation Efficiency Act of 1991 (ISTEA) established a Federal program to research, develop, and operationally test Intelligent Transportation Systems (ITS) and to promote their implementation. The program was designed to facilitate deployment of technology to enhance the efficiency, safety, and convenience of surface transportation, resulting in improved access, saved lives and time, and increased productivity. The program began as a three-pronged effort that fostered the development of ITS through (1) basic research and development, (2) operational tests that served as the bridge between basic research and full deployment, and (3) various technology transfer activities that facilitated the implementation of ITS technologies. ISTEA originally authorized $659 million for fiscal years 1992-1997 with additional funds appropriated for a total of approximately $1.2 billion. The Transportation Efficiency Act for the 21st Century (TEA-21) authorized a similar amount ($1.3 billion) through fiscal year 2003. In 2005, the Congress enacted the Safe, Accountable, Flexible, Efficient Transportation Equity Act: A Legacy for Users (SAFETEA-LU), which ended the ITS Deployment Program at the close of fiscal year 2005, but continued ITS research at $110 million annually through fiscal year 2009. In addition to authorized ITS funding, ITS projects are eligible for regular Federal-aid highway funding. The ITS program carries out its goals through research and development, operational testing, technology transfer, training and technical guidance in the areas of intelligent vehicles, advanced traffic and transit management, commercial vehicle operations, public safety, traveler information, and intermodal freight. Q: What is the current level of ITS deployment in the United States? A: The U.S. Department of Transportation tracks levels of deployment. For the latest information, go to the deployment database.